This Whole30 ketchup recipe is made with only a few ingredients, no dates, and requires no blending. It's perfect on everything and in so many other sauces! 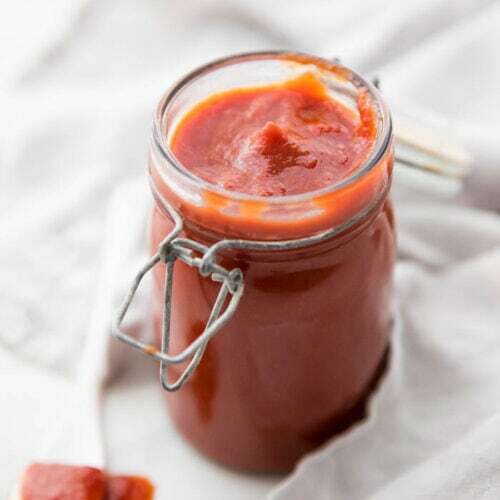 This Whole30 condiment is a total must, and you'll want to keep a jar of this Whole30 ketchup recipe on hand at all times. Combine all ingredients in a saucepan over low heat; whisk well. Simmer until slightly reduced, about 20 minutes then salt to taste. Cool before transferring to a jar; refrigerate.